Helps Both Buyers & Sellers at Villas at Kenolio. Click here to see other condos for sale at Villas at Kenolio. Villa Supreme is unit 10D at Villas at Kenolio. You will be loving life at this upscale condominium complex built in 2003 in North Kihei with two bedrooms, two baths, 770 square foot interior and a 121 square foot covered lanai. This downstairs, single level condo offers a stair-free lifestyle. Units are insulated for your comfort and come with solar water heaters for energy savings. 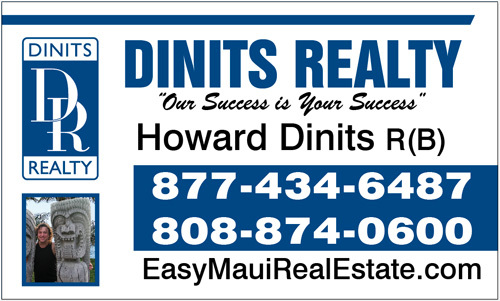 People love living here because it is centrally located with easy access to Kahului and Wailuku. There are beaches at the end of the street and a mile to Sugar Beach with six miles of continuous sand to Maalaea. Villas at Kenolio has lush tropical landscaping that is meticulously maintained and add beauty and privacy. The Staff gets to know residents which adds a close-knit neighborhood feel in addition to security. Attention investors Villas at Kenolio allows long term rentals but no short term, vacation rentals. Monthly Maintenance fee is $398.55 and covers water, sewer, garbage and basic cable. Unit shows pride in ownership with a beautiful remodeled kitchen with new cabinets, fixtures, flooring and granite counter tops skillfully combined for an elegant space to cook or entertain. Wall mounted AC units keep you cool in the living room and master bedroom. Cool ceramic tile is underfoot in all rooms except the bedrooms which have wood laminate. IF you have a four legged friend you will be happy to know this is a pet friendly complex. Complex has a fenced pool area with grass, space to lounge, hot tub, shower, playground, and exercise room with a gated, keyed entry for resident’s exclusive use. See Villa Supreme and seize this great deal: Take the Piilani Highway towards Wailea, at the 5mm turn Right on Kaonoulu Street, go down almost to South Kihei Road and turn Left in to Villas at Kenolio, make an immediate Left and park in the visitor parking facing Kaonolulu. Two tandem parking spaces assigned to unit are numbers 226 and 227.